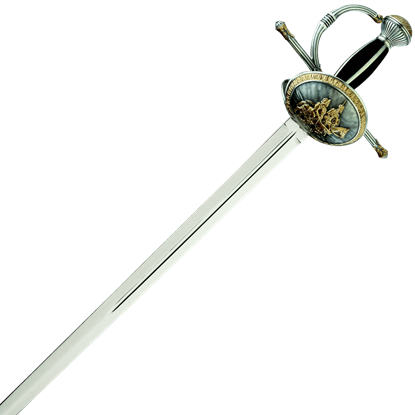 Offering a middle ground between an arming sword and a rapier, cut and thrust swords feature Renaissance-style hilts with thicker blades than rapiers and a sharp taper. Various kinds of Renaissance swords, such as field swords and side swords, can be labeled cut and thrust blades. These single-handed swords were popular during the 16th and 17th centuries, evolving from the medieval knightly sword. 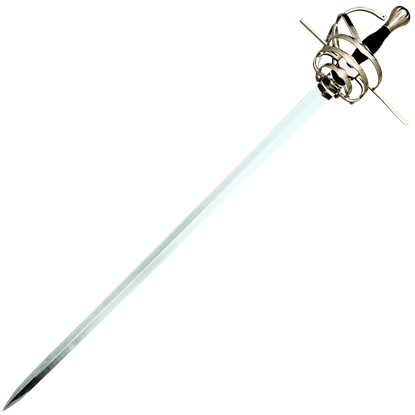 They provided a nimble wielding experience similar to a rapier without sacrificing the strength needed for cutting and combat. 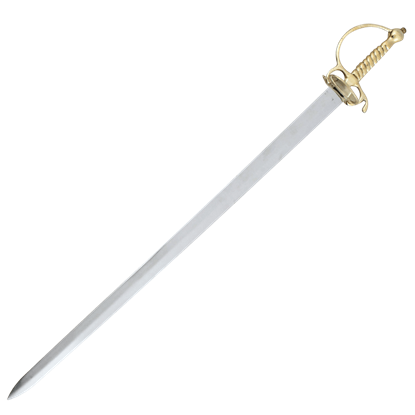 At Buying a Sword, our selection of historical swords includes high quality cut and thrust swords for training and display. These Renaissance military swords make fantastic collectible weapons for anyone interested in the evolution of swords from the Middle Ages to the Renaissance period. Duelists of the later eras often favored a variety of weapons. One master might prefer the small sword, while another, the cut-and-thrust sword. This Blackened Short English Saber is another style of sword that had its own advantages. From the pen of Miguel de Cervantes, Don Quixote de La Mancha, a fantastical nobleman with chivalrous ideas far beyond his limits, was born. 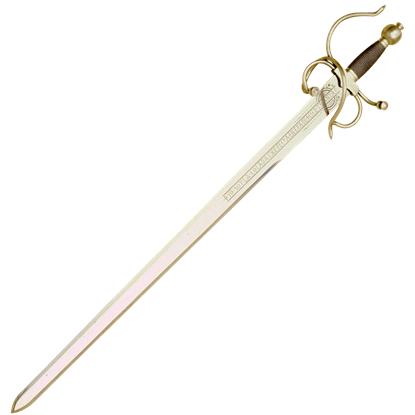 The Don Quixote Sword by Marto pays tribute to this outlandish literary character. 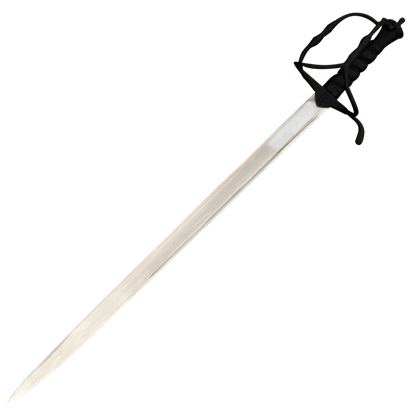 The El Cid Colada Sword, by Marto, is a reproduction of a sword that belonged to the Castilian knight Rodrigo Diaz de Vivar, known as El Cid Campeador in the 11th century. 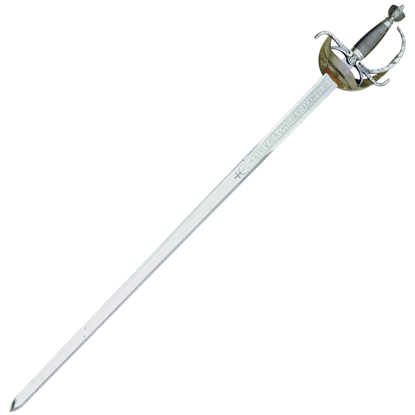 This sword honors some of the knights many deeds. 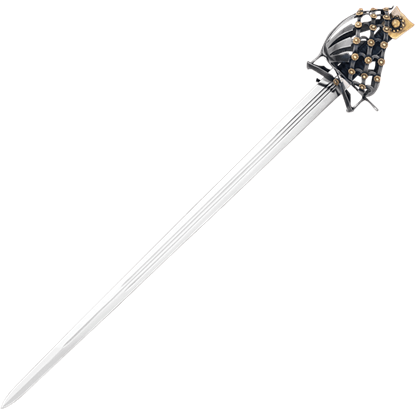 The King Charles III Rapier Sword by Marto is a reproduction of a guard sword that belonged to King Charles III. Charles the Third (Carlos the Third) was a man of great dynamic spirit and promoted cultural and economic growth. There are several of these swords in different private and public collections, one in the Wallace Collections and several at the Bavarian National Museum. 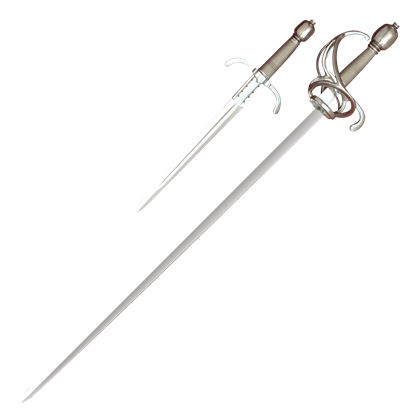 A Munic Sword is a perfect example of German Military Cut-and-Thrust Swept Hilt. The Renaissance Sword by Martois a reproduction of a typical 16th century Renaissance period rapier, one of the premier fencing swords of the age, featuring a swept hilt fit to protect the hand from the point of an enemy sword. While swords like the Venetian Mercenary Shiavona were quite popular throughout Europe, it was the preferred weapon of choice for 17th century Venetian mercenaries. This replica from Windlass Steelcrafts is a true work of art.